This unit is offered by Cushman Motor Company in Minneapolis. Contact us at 612-333-3487 or 800-759-5343 or by filling out the form on this page. We ship anywhere in the continental U.S. Select the equipment brand you are interested in from the drop down list. You can make multiple selections. Cushman Motor Company is an independent family owned business operating from the same location in Minneapolis since 1949. 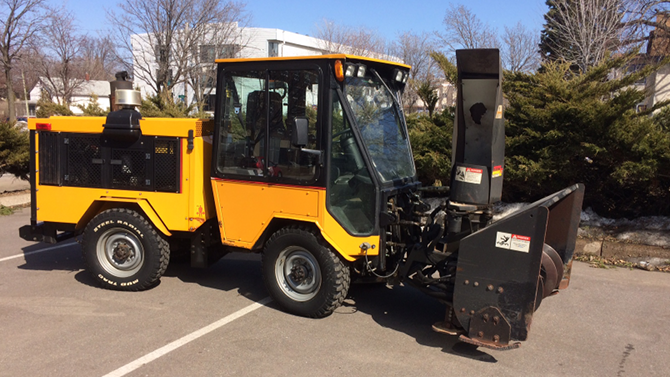 We sell and service a wide variety of industrial equipment including compact tractors with turf maintenance and snow-ice removal attachments, industrial vehicles, utility vehicles and passenger carts. * College grounds care pros love Ventrac. 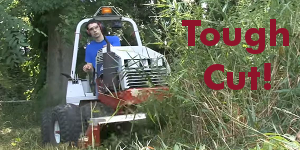 * Ventrac’s tough cut brush mower. * Holder C70 – It’s easy to blow snow away. * Maintaining wet and muddy grounds. * The Kombi athletic field striping machine. Compact tractors. Ventrac. Holder. Steiner. Industrial warehouse vehicles. Low speed utility vehicles. Zero emission electric NEV vehicles. Low speed golf cart passenger vehicles. Cushman vehicles. Columbia Parcar vehicles. Vantage Vehicle. Low speed trucks and vans. Westward Go-4 three-wheel vehicle.